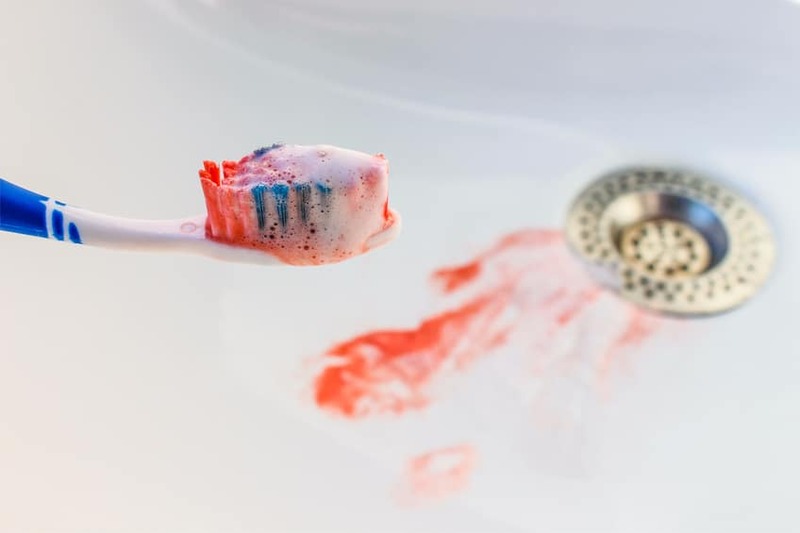 Do you sometimes notice blood on your toothbrush or in your sink when you brush your teeth? If so, then you should know that it is something that you should never ignore. It is possible that your gums bled a bit because you ate something coarse and it scratched them. However, if this is a regular occurrence, then it might be a more serious problem. Plaque and cavity-causing bacteria can build up on your teeth and result to inflammation of your gums. This is what we call gingivitis. It is usually painless and there are no symptoms so there is a possibility that you don’t know you have one, except there are bloodstains on your toothbrush. Gingivitis can progress to a periodontal disease and lead to eventual tooth loss. It can still be reversed though, or avoid altogether. The solution? A meticulous routine that includes thorough brushing and flossing, to make sure you have removed all that plaque. Smokers are simply prone to bleeding gums. Irritating toxins are left on your teeth when you inhale smoke and it could be hard to remove the stains once there’s a build-up. These same substances can irritate the gums and cause them to bleed. If you do not eat the recommended servings of vegetables and fruits for each day, you could be giving your gums reason to be inflamed. Remember that staying healthy is the best defense you can have to protect yourself from any problem. It could be because of hormonal changes that are common when a woman is pregnant. If you are not, then it could be because of your menstruation. It is not uncommon for women to experience hormonal gingivitis which is associated with their monthly periods. Are you brushing way too hard? Or have you been forgetting you should brush every time you eat? If you do not have a regular oral hygiene routine, it will be your gums to suffer the consequences. You should brush your teeth, floss, and make sure you remove all the plaque and other food debris. These are only some of the possible reasons why your gums are bleeding. Whatever is causing it though, you have to make sure you pay your dentist a visit at Pickering Square Dental to check it for you.